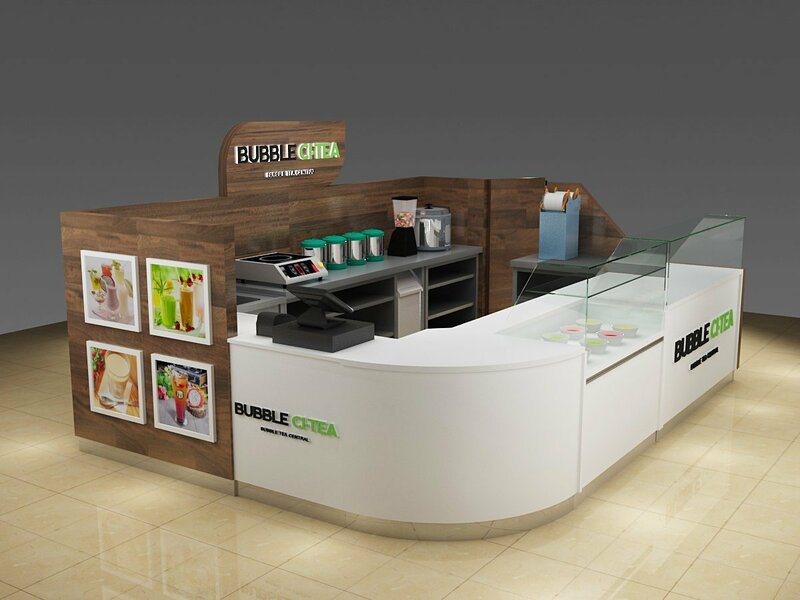 This is just another color concept for a bubble kiosk design i post before. 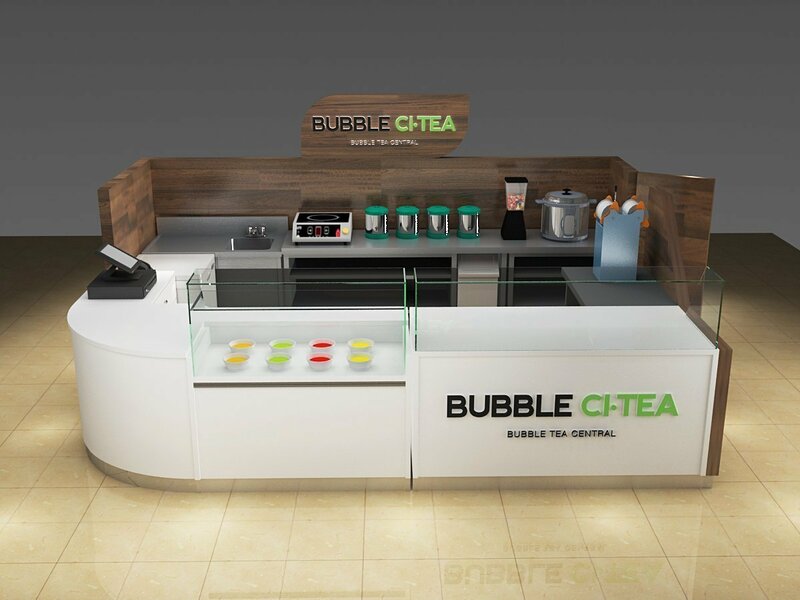 >>> (click juice kiosk to see the previous design). 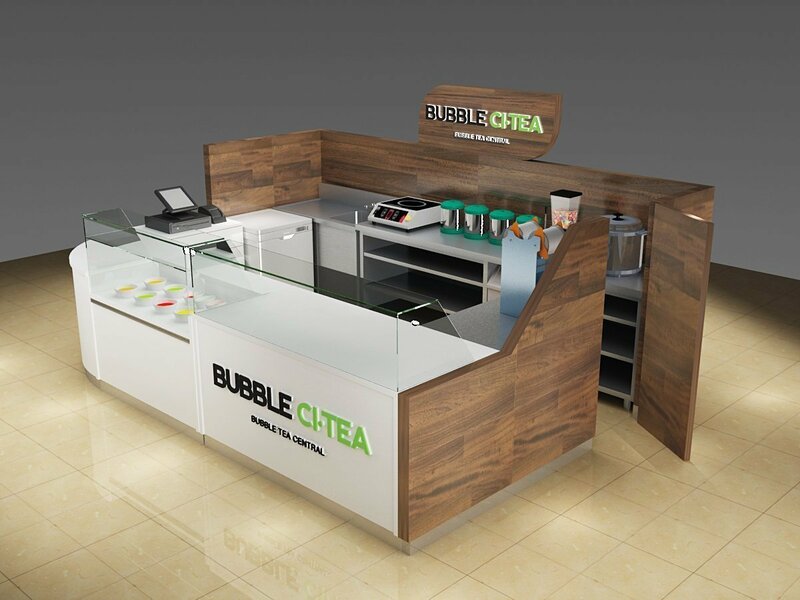 This options of bubble tea kiosk are more like a sushi bar . With dark wood color and white laminate finish together. Make a Huge visual contrast . And just this contrast make the kiosk outstanding and more meaningful . 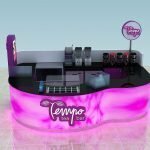 This model is a traditional fast food kiosk design. White part in front stands for clean and neat food symbol . While the back dark wood stands for nature and healthy . So if you are doing a heath fast food business , This kiosk ideas will be perfect for you . 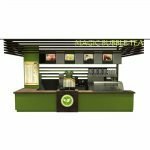 Unique Kiosk is professional mall food kiosk supplier. 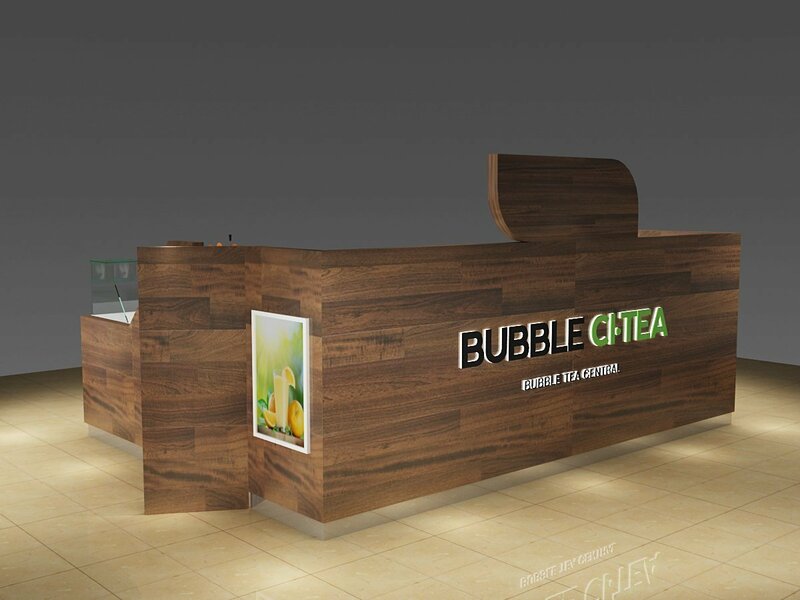 We can custom design and build wooden indoor kiosk for you . Contact us for more detailed information. Get a affordable price with UNIQUE KIOSK. and start your business today .